Tap That App is a monthly segment where we feature an app our editors think is cool. You’ve seen it on the metro. In the break room at work. On the screens of young students stealing a cheeky game break at lunchtime. It’s the ‘battle royale’ gaming sensation that’s sweeping the nation and it’s a digital fight to the death. Playerunknown’s Battlegrounds (PUBG), the brainchild of South Korean gaming giant Bluehole, pits 100 players against each other in a trigger-happy virtual death-dance on a post-apocalyptic island – not unlike a live-fire version of the Hunger Games. As you battle, a noxious blue gas progressively encloses players in an ever-tightening dragnet, precipitating a dramatic final showdown. Widespread critical acclaim and addictive replayability catapulted the game to global fame, with Chinese players quickly coming to account for as much as 40 percent of regular players. 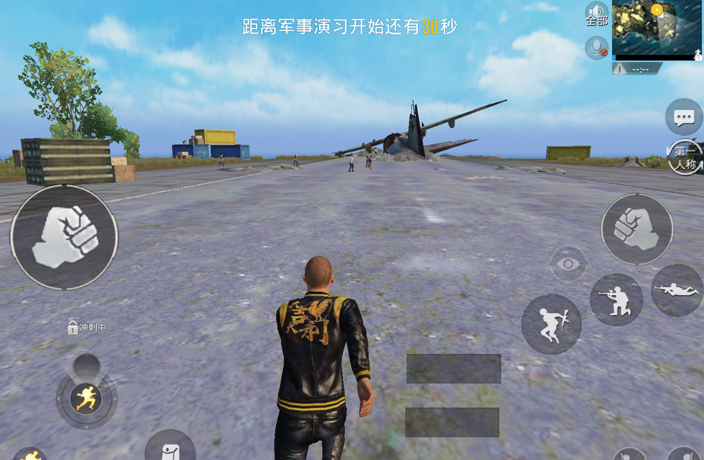 In a major commercial coup, Tencent Games secured exclusive rights to distribute PUBG in the PRC late last year, with more than 10 million players on the Chinese mainland preregistering for downloads almost immediately. Predictably, the ‘kill-everything-that-moves’ approach to battlefield tactics that characterizes the battle royale genre did not initially thrill media regulators in the country. But promises by Tencent to adapt game elements to conform with “socialist core values and traditional Chinese cultures and moral norms” – blood splatter in the Chinese version of the shoot ’em up is replaced by a wholesomely ambiguous green liquid – ensured a smooth mobile release on local app stores earlier this spring. Playerunknown’s Battleground is available on iOS and Android devices. For more Tap that App, click here. A cheaper alternative to 'true' virtual reality.